Hi, my name is Simon, I’m one of the final year medical students. Can I just check your name and age, please? Yeah, my name is Andrew and I’m 25. Nice to meet you Andrew. Today, I’d like to take your blood pressure So that will entail me taking this cuff Inflating it around your arm feeling and listening to your pulse. Does that sound okay? Yeah, that’s fine It might be a little bit uncomfortable but it shouldn’t hurt. That’s right you okay for me to go ahead? Yeah, lovely You just pop your arm on the table, that’s lovely And I’m just going to feel your pulse now That completes the procedure, thank you very much Andrew. 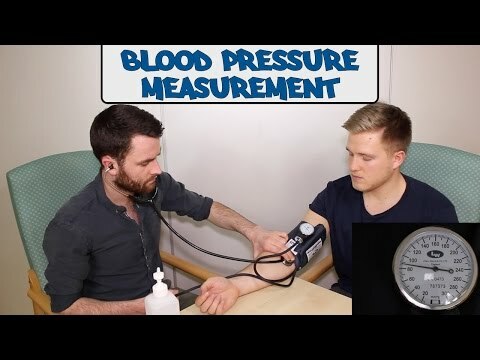 Thank you To complete the procedure I would check the blood pressure in the patient’s other arm I would then record the results in the patient’s notes .